Red text denotes changes to the rules from previous LCs. As is pretty typical at this point, I didn't win the last LC, but I'm the highest-placing competitor from it that cares to host, so allow me to welcome you to Lucidity Challenge 50! Everybody loves "special" numbers, and 50 is certainly one of those! Get hyped! The LC will consist of seven weeks of lucid dreaming tasks, although the last "week" will have an extra day to make 50 days even. Yes, we're going back to the "classic" seven-week structure for now; after all, 50 is a "special" number! The tasks will generally increase in difficulty with each new week. Each task is worth points, and each participant will attempt to accrue as many points as possible via finishing the tasks in lucid dreams and normal dreams, having long lucid dreams, cooperating with teammates, and other means. At the end of the 50 days, the participant with the most points wins! He or she can host the next LC if he or she chooses; if not, hosting rights go to second place, and so on and so forth until a host is found. Recent LCs have woven the tasks together with a silly story of the LC host guiding the participants through a fantastic dreamscape. I couldn't resist the cheesiness and did so as well. It's loaded with LD4all in-jokes and self-deprecation. Feel free to ignore it for the most part. You get the listed amount of points for completing a task in most cases. Exceptions to this will be covered as they arise. 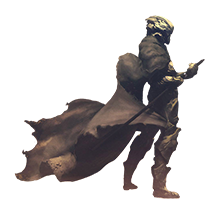 You also get points for completing additional conditions or variations on tasks as listed and get 5 points for completing a task as the character you design in your sign-up post. There is an expectation that you post your point claims in a timely manner. The scores will be updated frequently, and having accurate scores provides proper motivation to all competitors. As evidence, I submit that LC 49's winner openly told me that he was motivated to beat me two days before that LC's end precisely because I posted that I earned a large amount of points that week. I do not regret my post. The LC is not a game of psychological warfare in which you make your opponents believe inaccurate scores to play with their motivation, and so I reserve the right to apply a penalty to those who unnecessarily delay taking five minutes to post points—exceptions to being penalized exist for extenuating real-life circumstances, of course. Having to evaluate humongous point claims makes my job harder as well, and an unhappy TM is not a nice TM. The idea of group work started as a behind-the-scenes activity during LC 37, was introduced into the LC proper in LC 39, and was continually revised until teams were introduced in LC 42. Unlike in previous LCs, not all weeks will have teams. When an upcoming week will have teams that require your input, a notice will be posted at least two days in advance. You will have until the week's tasks are posted to choose a team. Note that some weeks may have predetermined teams based on other facets of the LC. Teams will be discussed in more detail when they become relevant. A seven-week LC can be a drag if you're stuck far behind. To mitigate this, the LC will have three two-week legs (with the final week not included in a leg). The winners of each leg will be the members who earn the most task points and bonuses within it (e.g., Week 1 task points will not help you win the leg of Weeks 3 and 4). The number of leg winners will be based upon the number of active participants and will be announced a few days before the leg's completion. Leg winners will get a small LC-based reward and will be taken out of the running to win future legs. The LC traditionally needs 10 participants before it starts. We will start no sooner than Friday, June 19, unless we get 15 participants, in which case we will start as soon as possible. When signing up, please quote the sign-up list from the most recent post containing it and add your entry to the bottom of the list. Your sign up should include your username, your personal goal worth 100 points when completed lucidly, and your character design (see the information after the story prelude in the next post). Eilatan — Looking for a good man. I will read any dreams you want me to read. Feel free to post dreams here or in your DJ. However, I will have much to read. I will only read your DJ posts if you link them here and they are intelligible—the forum is not a text message. Also, if you do link a DJ post, please also summarize what you did for the LC in words. Not giving a summary or giving tasks numbers that require me to check what numbers correspond to what tasks only serves to slow down scoring, which is not what anybody wants. As is recent tradition, the LC has a silly (read: inane) story stringing everything together involving the host maintaining the illusion of control over the participants. I'll tuck it behind spoilers to spare those who don't like reading drivel. The hypnagogia moves behind your eyelids seemingly at random as you wait for the dream to start. It swirls around for a while before finally beginning to form coherent imagery. A street begins to form in front of your eyes and then branches out into a gridded network of them. Buildings start to form between the streets; the nearby ones appear to be residences and shops while the far-off ones are massive skyscrapers. A beautiful blue sky with a few clouds forms above all of this. You become aware of other people gradually forming around you. They appear with the same sort of fascination with the new environment as you have, with many of them looking around at the environment with a sense of wonder. Before anybody speaks to the group, a voice comes from behind you all. "Welcome to Elcedia, the setting for the 50th LD4all Lucidity Challenge." You turn around and are met with a surprising, yet recognizable sight. A small, bipedal creature with turquoise fur, large feathered wings, and several protruding spikes looks at you with a smile on its face. Everybody stares on in silence until the creature speaks again. "Nothing? Shoot, I thought you LD4all people liked puns. Elcedia, L-C-dia? No? Not even a giggle? Fine, whatever. Anyway, welcome to LC 50! I'm Thorn, your Task Master for the next seven weeks, and—"
A group member suddenly busts out laughing. "I'm sorry, but I can't take you seriously right now. You look like a stupid Sonic fan character and you're making stupid puns too?" Thorn looks visibly irritated. He pulls his gloves and shoes off, retracts some spikes on his hands, and suddenly swells into what seems to be some sort of black-furred, turquoise-chested dragon-man that easily has a foot on your height before speaking in an annoyed tone. "Satisfied? Geez, I try to represent a typical LD4all member without using a dragon for once, and this is what I get… LD4all never changes. "Anyway, back on topic. I'm your Task Master for the next seven weeks. I'm happy that everybody got here safely. We'll be spending the entire challenge in this lovely dreamscape, so please make yourselves at home. In fact, the first week's tasks will be about doing just that! Look around you at all of the city's residents; what do you notice?" You look around and notice that dream characters outside of your group have appeared in the dream world. They come in all shapes and sizes, although they are largely bipedal. You see bird people, other dragon-men, catfolk, wolf-men, walking sharks… you quickly come to a realization that you utter aloud. "Everyone's half-animal. There aren't any normal people." "Exactly," says Thorn, "which means you all stick out like a sore thumb. We need to get you to blend in. Why bring your waking life skin into a dream world? Luckily, I have a friend who is perfectly capable of helping out with fixing that little problem. Before we meet him, though, you need to decide what you'd like to be. Yes, you get to choose!" he appends upon seeing some astonished faces. "Just keep it within reason and keep it clean. "Oh, and if there's any more laughter at people's chosen shapes, I will not be a happy TM," Thorn finishes with a stern gaze. Along with your sign-up, you should have a description (or a picture, if you're an artsy type) of a bipedal, anthropomorphic (or highly specific human) form you'd like to use throughout the LC. While you're not required to use it for almost anything, you'll earn 5 bonus points for each task you finish as your chosen form. For other transformation tasks, you'll earn this bonus by keeping morphic resonance; that is, your transformation is clearly just your character reshaped. For example, I used the following avatars in recent LCs to fit their transformation-based tasks, and all of them contain aspects of the form from the previous pictures—namely, the large horn, prehensile tail, and turquoise coloration. Height. I need a height between 3 feet (91 cm) and 7 feet (213 cm). I give these bounds not to restrict your creativity but to make sure that you can actually interact with things during the LC. If you really want a ridiculously short or tall character, we can always look into making a fitting task for it, but let's keep it simple for now. I don't need you bonking your head on doorframes or struggling to reach things at a person's head level. Whatever you decide to be, I hope you have fun with it, as the next seven weeks will have extra points for using your creation! If this isn't your idea of fun, don't sweat it! It's only worth 5 points per task, so you can definitely work around it! To talk a little bit about the whole "character" thing, the intent was to to be a follow-up to LC 47, in which Mew151 had everybody take a title to symbolize his/her dream actions. I originally planned to have everybody come up with a blank slate that would get developed with a few dream powers, some DC friends, and other things over the course of the LC. While I largely got that, I also got creatures from Alien vs. Predator and Anna from Frozen. I'm not complaining about this and it's not wrong to have these characters! I just find it amusing, and my goal now is to just screw with everybody who used something that already exists (e.g., I look forward to making Anna shoot fireballs or something). Knowing this, if anybody wants to create something different he/she than already made to fit the LC's aims, then go ahead. If you like what you have, then keep it! Just expect that I'm going to mess with you. I'll edit the rest of my details in later... I wanted to be first. Also I'm a little busy at the moment. Well, too bad it has to be bipedal and anthropomorphic. Pretty limiting Anyway! I guess the alien swordsman in my avatar will be ok. I was him in a non-lucid dream pretty recently. Appearance: Made of rock/metal. In my dream it was not constricting; it was elastic and dark steel colored. No visible eyes, nose, ears or mouth. Height: Tall. Lets say 2 meters. Mindset: I love sci-fi and I love dreaming about cool, alien places. I think my personal goal makes that pretty clear too. I'm looking forward to participating in a LC again. I chose water control for my personal task because in every LD that I try to use water magic I end up controlling a few drops of water instead of huge waves. Water is my favorite element, so it would be really nice to be able to cast water magic in a dream. Appearance: As in the picture. Dark gold/turquoise theme, battle armor, tail. What's not in the picture - more scales on her hands. There was no option for that in the creator. Mindset: Best suited for swimming. Wants to transform into a winged river dragon. Dislikes fog and anomalous dream characters. Edit: Chose to change my character, this is a final version. @Letaali: Well, human characters are allowed too so long as it's something special and not just your waking-life self, as I said in boldface. Sorry to kill your desire for quadruped dreams, but I really need you to have arms for some of the tasks! @Letaali & @En'enra: Sounds like both of you have characters from outside of the LC on your mind. Hopefully you get a chance to experience them; I'm curious about what made them special to you! She was created for the LC, so I'm hoping that the challenge will make her special to me. I changed her name, though, since I don't think I would respond to "En'enra" in a dream. 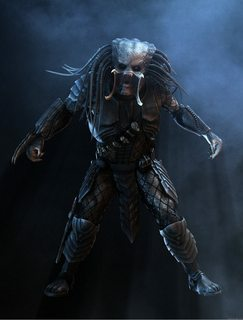 Appearance: Scaly skin, black claws, shin/thigh/chest armour, a Biomask for enhanced vision modes, armed to the teeth with wrist blades and a shoulder mounted laser, dreadlocks and a face only a mother could love. We have five sign-ups so far, which is pretty good! I will say that I wasn't expecting to get a bunch of super-tall aliens. I honestly expected some animal people or some sorcerers/wizards… not that going against my expectations is a bad thing! Do what you want! Again, if we have 10 participants, we'll start Friday afternoon ET to give people a one-week break after the last LC. If we get to 15, then we'll start sooner so that people don't get distracted or bail out. Appearance: Refer to my avatar. In short: Armor, wings, sword, all with a purple theme. Height: My height, as this is an assumed state, something I would ascend to, not a different person. The armor and sword would materialize around me. Mindset: Control. All I need is control. Arthur is the embodiment of power, control and knowledge. The Rightful King of the Land. Power itself manifests in his sword, all of the dreamscape bows to his command. His word is law. That is the fate that I want for myself. Just let me get into my dreams for a little while, let me assume this ascended state, and my mind will be bound by my command. The mindset of a conqueror. The mindset of the True King. That is Arthur's mindset. Current LD goal(s): Visit The Palace, ascend to archangel status. Man, I was expecting way more characters that were clearly just whipped up in an instant for the sake of the competition, but people seem to be putting in a lot of effort! Heck, lots of people are describing certain mindsets they'll have with their character that they wouldn't have normally. Good on you for being so immersed! We have six sign-ups right now, and if all of the people who told me they want to sign up do so, we'll have ten exactly. Starting on Friday is looking very likely. Mindset: Exploration and meeting with other LC peeps. Scipio, you stole my original OC character design! You will pay! Anyway, I chose a Mew-like character because Mews are less than 3 feet tall most people see me as an actual mew in dreams anyway. I chose to go with a female transformation because it seems like an interesting transformation that also keeps me in a familiar human body. Also mostly because when I was imagining a humanized Mew character, it was easier to imagine a girl than a super handsome macho tough guy like myself.